Planning is an important element of management control to align operational business with strategic corporate objectives. As well as specialist software for planning, successful planning processes also require comprehensive business intelligence (BI) functionality. 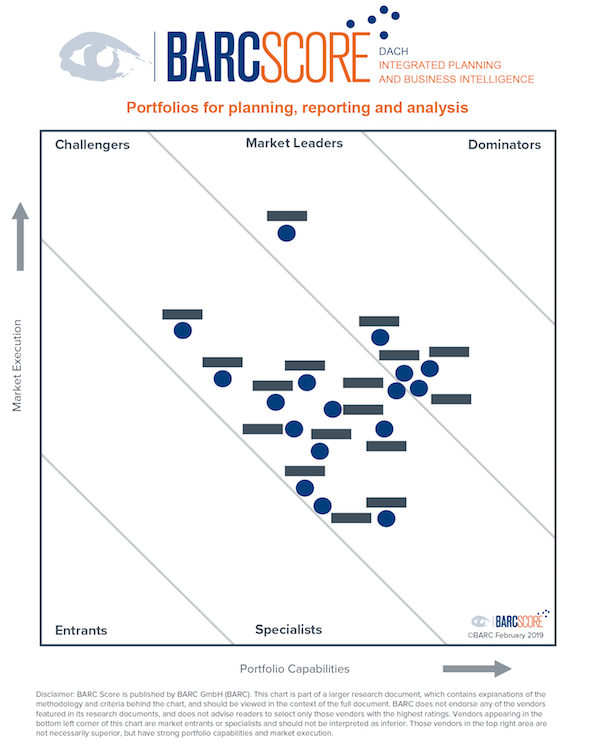 This BARC Score focuses on the market for integrated planning and BI products and portfolios in the DACH region (Germany, Austria and Switzerland) and analyzes the strengths and challenges of all the leading vendors as well as many smaller vendors that often have less visibility, but equally offer outstanding value to their customers. Our assessment of each vendor is based on data points from The Planning Survey and The BI Survey as well as numerous analyst interactions. The full report is available to BARC Access subscribers. There are two major sets of inclusion criteria for this BARC Score: the first is associated with a vendor’s products and the other is linked to the financial results relating to those products. Functionality for planning is the entrance ticket to be evaluated in this BARC Score. This functionality should include write-back of planning data to a central database as well as other advanced planning features like workflows and simulation. In addition, the vendor has to generate a minimum of 3 million EUR in license revenue per year with the above product set in the DACH region (Germany, Austria and Switzerland). There is no differentiation between on-premises offerings and cloud-based product sets. 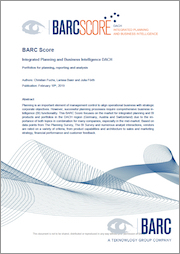 The full report BARC Score Integrated Planning and Business Intelligence DACH is available to BARC Access subscribers or can be purchased as a standalone PDF report. Contact us to purchase.